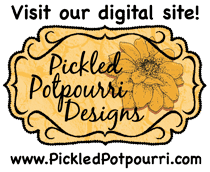 It is time for another Tutorial Tuesday at Red Rubber Designs! 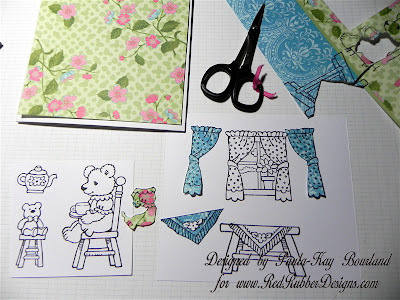 This pictorial tutorial shows how simple it is to paper piece using stamped images and patterned cardstock or paper. 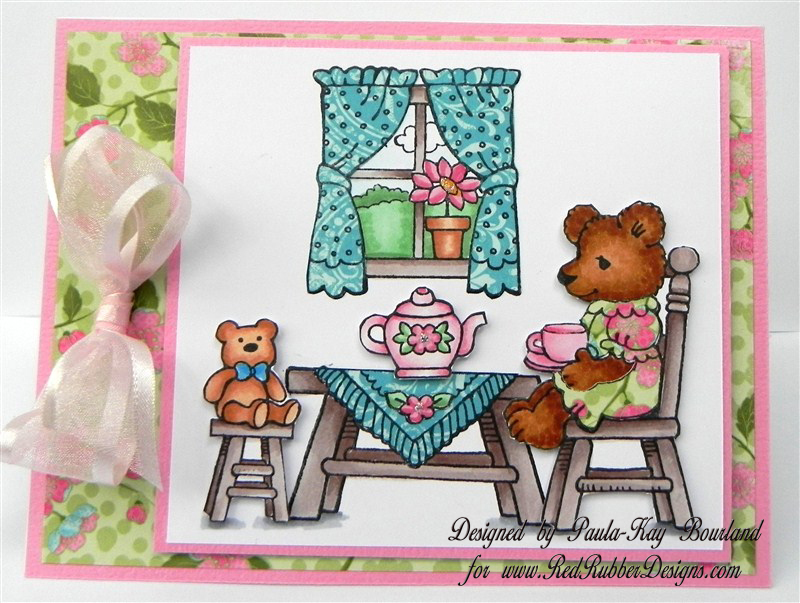 I am using a February Featured Stamp set from Red Rubber Designs called Teddy Bear Tea Party. The artist of this set, Maggie Swanson, illustrates children’s books. She has created some very cute images that make a nice scene. 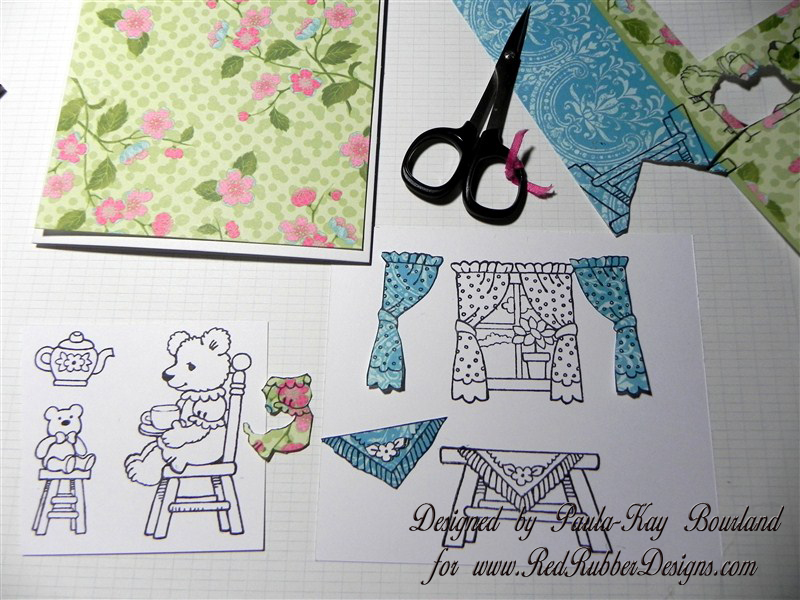 The patterned cardstock I am using is from the Catelynne collection. I’ve gathered my supplies first – paper, stamps, Kai 4” scissors, Memento Tuxedo Black ink, and acrylic blocks. 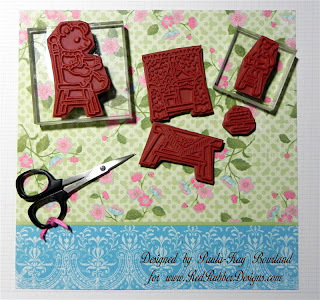 The next step is to stamp the parts of the images on the patterned cardstock that I want to paper piece. Then I stamped the images on a piece of white cardstock that I will use on the front of my card. In addition I decided to pop-up several of the images, so I stamped them also on another scrap piece of white cardstock. I will later cut those images out. Now I cut out all stamped pieces from the patterned cardstock that I plan to paper piece. 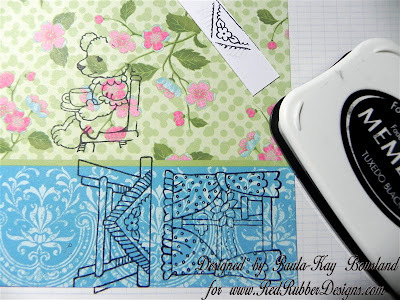 Also I cut a background piece of patterned cardstock to use on the base of my card. Then I colored the stamped images that will not be paper pieced. I used Copic markers, but colored pencils or water color crayons would also work nicely. 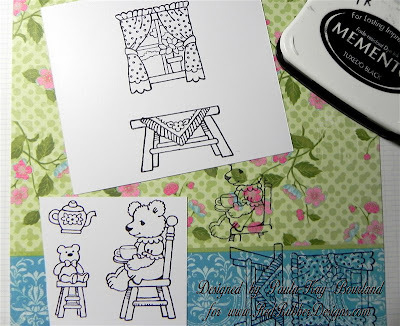 Then I put the card together with the paper pieced parts glued on top the stamped images. I popped up the bears and the tea pot to give more dimension, and also to get the bears closer to the table. Thanks for stopping by to see this tutorial. You can download a FREE PDF of the tutorial at the Red Rubber Designs Store. 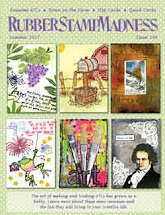 Have a fun stamping day! So adorable Paula Kay! 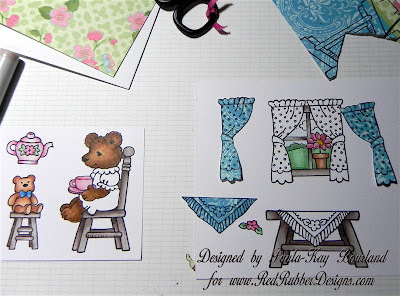 I love what you have done with these paper and stamps! Adorable! Love the paper you chose as well!